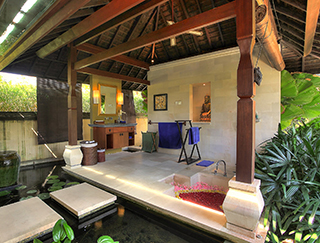 A beautiful vista, private pool, semi-alfresco lounge, massive open-air bathroom and a dreamy bedchamber combine to make Bulan Madu a mini-pleasure palace and the epitome of Balinese romance. 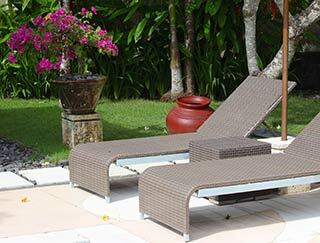 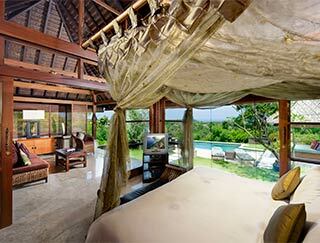 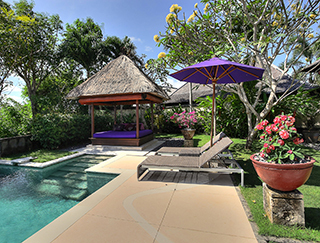 This self-contained villa, located high on the Bukit Peninsula in southern Bali, is attended by a full complement of very discreet staff who will cook, clean and drive upon request, pampering their guests with five-star service or leaving them alone in accordance with their wishes. 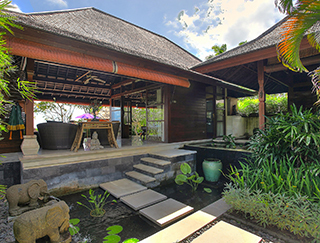 Dominated by views of a tree-lined valley and the distant sea, and serenaded by the sounds of falling water, the tranquillity at Bulan Madu is unmatched.